We provide a fast and competitive laptop and notebook repair service – most customers get their laptop back within just a day or two at most. 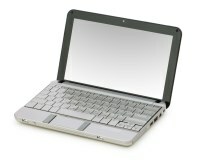 All makes and models repaired – HP, Compaq, Acer, Dell, Lenovo, Toshiba, Packard Bell, Asus and many others. Laptops develop particular faults and we have seen them all! We quickly diagnose your laptop problems and provide a quote for a speedy repair. Contact us now and we’ll arrange to check over your laptop or notebook at your home or business. Laptop and notebook power connectors often get damaged, the laptop battery doesn’t charge, and once the battery is fully drained your laptop is dead. Sometimes you can wiggle the connector to get the charging light to illuminate for a short time, but in the end, you just have to get it fixed. We can replace the connector inside the laptop with an identical part, and the laptop battery will reliably charge again. Keys get lost, drinks get spilled, sometimes keyboards just wear out – we can replace them with a fully compatible unit to the original specification, and restore your laptop keys to as-new condition. Modern computer components get hot while they work, and in a laptop this can become a problem if dust and fluff block the vents so that the fan can’t operate properly. Gradually the temperature rises and eventually the laptop will switch itself off. We know how to thoroughly clean the laptop internally so that the fan can work at maximum efficiency again. Hard drive faults on laptops happen more often than desktops because they are mobile devices and liable to being dropped or banged around. If Windows doesn’t work properly and there are frequent crashes or lockups then it may be that your laptop hard drive is damaged. If this is the case, we can attempt recovery of your data and replace the hard drive. Laptop and notebook screens are all too easy to break, but they can be replaced with a brand new unit that can bring your laptop back to life. Click here to see our dedicated page for more information.